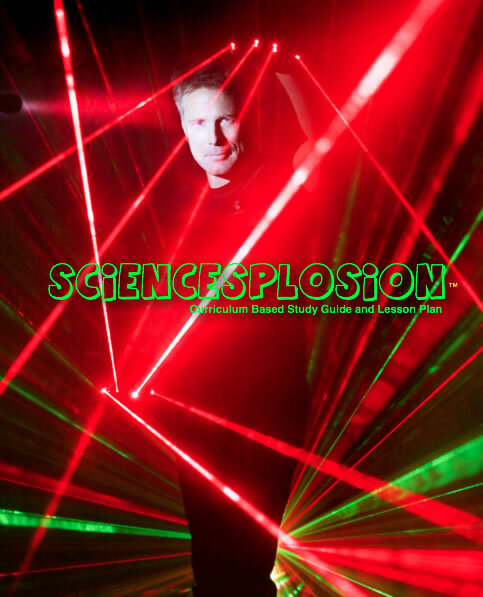 Mark is proud to introduce his new science outreach. You can download the Study Guide here. Looking for a unique school program that your students will never forget. Mark Nizer: Expect The Impossible. This unique show teaches and entertains at the same time. 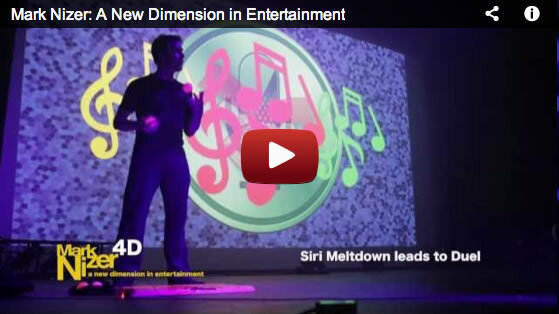 There is even a Live 4D™ Option. Mark Nizer with his virtual assistant Siri, teach critical thinking skills, goal reaching and finding your passion. Since Mark writes all his own material, Mark and Siri can tailor this event to cover any standards of learning requirements. The 4D version requires special glasses. The show work's great either way, but the 4D option is an amazing science lesson, and adds A NEW DIMENSiON. Mark has an extensive study guide to prep your students for his arrival. Mark has extensive experience performing for all ages. He will reach even the most jaded middle and high school audiences. He can also tailor his show for any group or age range. Mark has partnered with Siri Nizer (of iPhone fame) who is his virtual assistant. With Siri in the cast we can run the entire show without additional crew. Mark can bring all lights, sound and video equipment with him, or, plug into your lights, sound system and projector, and Mark will do the rest. This allows the show to have thousands of light cues, show automation and effects that would never be possible before. Mark Nizer - Expect The Impossible - will teach your students that anything is possible. Contact Us Today and bring Mark Nizer to your audience. "Your performance is witty, your juggling superb...I would not hesitate to recommend you to any presenter." "Mark Nizer was hands down one of the best assemblies we have ever had. K-5 students attended the assembly and every age group loved it. Mark has a unique ability to entertain every age group in the room, including the adults. He set his own show up and was very flexible and accommodating to our school regarding space, resources and time. He is an incredible artist, and wonderful person. He brought joy to our kids." "Mark's performance was hot! Mark worked the crowd like magic, appealing to the great variety of ages present. His juggling and comedy was flawless. He is one of two performers in our history who has received a standing ovation and we are a tough crowd." " -Expect the Impossible- You have to be very confident or very skilled to present a show with that kind of title, and Mark Nizer would seem to be both." "Juggler extraordinaire Mark Nizer's "Expect the Impossible" features 3-D lasers, robots and lots of laughs. " "Both Michael Moschen and Mark Nizer were standouts!" "One of the best practitioners of the art." 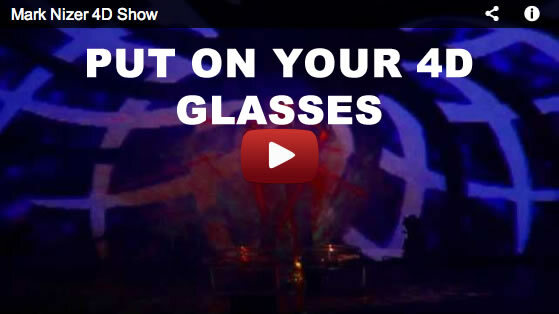 "You'll be on your feet for this amazing juggler and his hilarious one man show!" A space with a 12' ceiling or higher. Blackout capability is nice for the lazer and other special effects but not required. Mark can bring everything including lights, sound and video if needed. A light colored wall, movie screen or cyc is helpful to project video to. Since Mark can fly with everything he needs Mark can come to you anytime and anywhere. Because of Mark's frequent flyer status he can normally check three bags for FREE on most major airlines. See our ONLINE TOUR CALENDER for dates and avails. This form is for School Outreach Presenters that want to have specific standards of learning included in a Mark Nizer™ Show. Siri and Mark will work in this material throughout the performance. Please include here the exact info you would like covered during the show. Note: some material may need to be edited or reduced to accomodate show length and other restrictions.